Nintendo, the Japanese multinational consumer electronics and video game company, is reportedly working on a smaller, more portable, and more cheaper version of the Switch console, according to a report from Nikkei (via The Verge). This move comes after Nintendo lowered its sales targets for the year from 20 million Switch units to 17 million. With the launch of this smaller, portable version of Nintendo Switch, the company is looking to expand its user base. Rumored to be nicknamed as Nintendo Switch Mini, this handheld console will focus on portability, which means it will be easy for the gamers to carry it while traveling. The new mini Switch version could likely include integrated controllers instead of removable joy-cons, slimmed down hardware, and longer battery life. 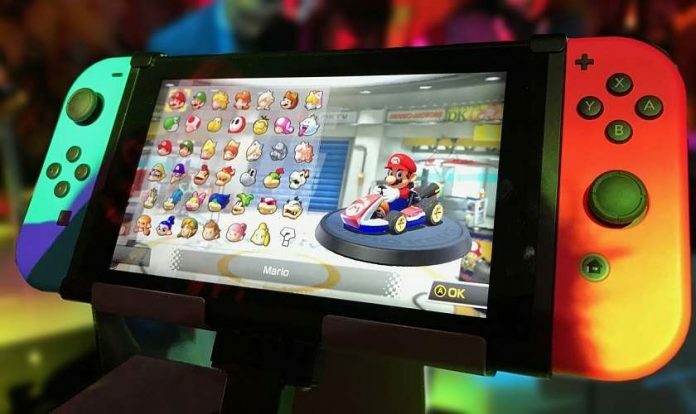 However, in order to release an updated and less expensive version of Switch, the console may not have some of the features that the original Switch has. The affordable version could likely include a cheaper screen and may see the dropping of the dock and/or cartridge slot. According to Nikkei, the console might be released in the fiscal year of 2019, which starts from April 1, 2019, through March 31, 2020. However, none of the information has been officially confirmed by Nintendo. Hence, these rumors should be taken with a grain of salt. Launched in 2017, Nintendo Switch is a very successful asset in Nintendo’s portfolio. During the last few months of 2018, the company was able to sell 9.41 million Nintendo Switch units. Recently, the Japanese company announced that it has sold over 32 million units of Switch and is closer to dethroning the Nintendo 64, which is the most sold console of Nintendo.